This blog post could've been called 'Burning the candle at both ends' as that is exactly what I did yesterday. 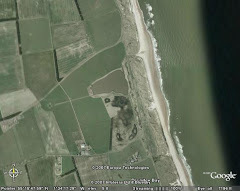 We've been keen to get the nets up at Druridge to do some ringing since we got back from Galloway, but the actual weather or the forecasted weather, which are rarely the same thing, has prevented us. 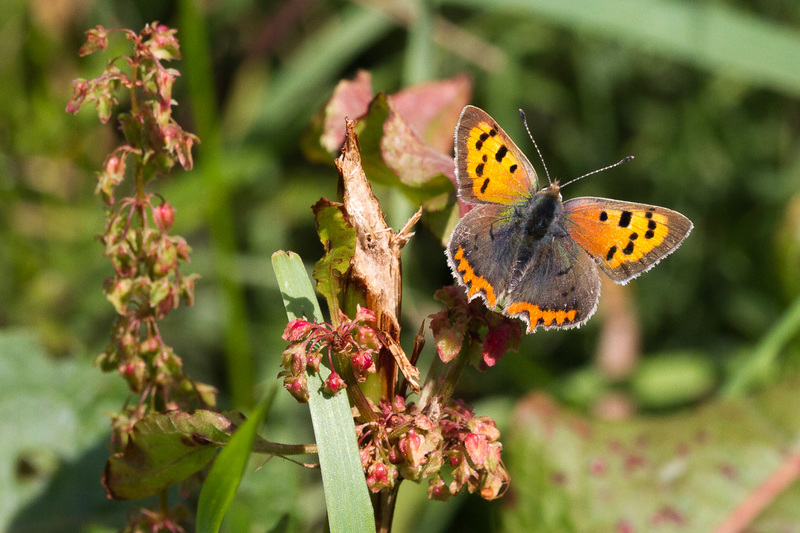 The forecast for yesterday morning was for the wind to drop by 7am and to be overcast. So not a really early start, but early enough, to let the wind drop, which it did a bit but the cloud cover was zero. 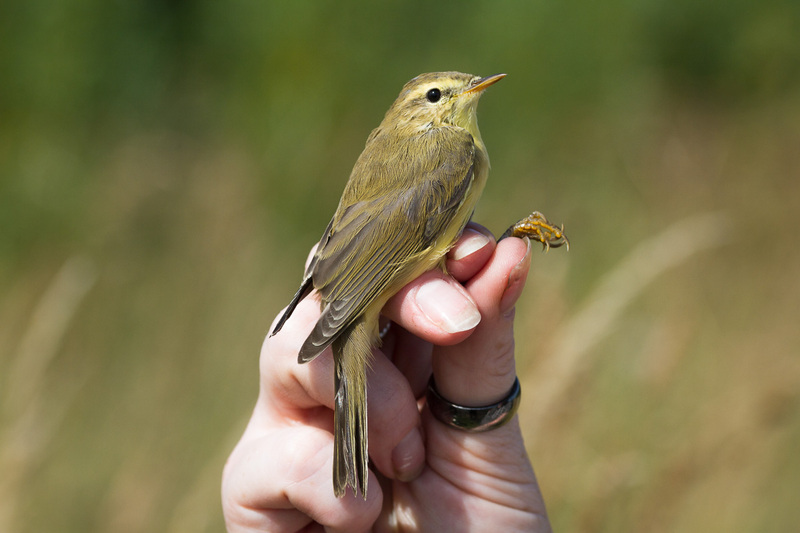 We had the nets up by 7am and there seemed to be a lot of warbler activity, with lots of willow warblers or ciffchaffs feeding in the sunlight on the upper branches of the bushes. They must've stayed there as we didn't catch many. A fly-through collared dove was my first on the patch this year - it's common species like this that excite the patch-worker. 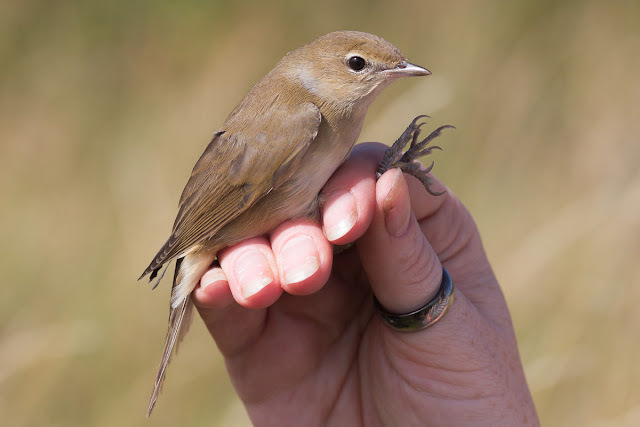 The garden warbler is indicative of migration as this species doesn't breed at Druridge and is a species that we have rarely caught in recent years. We only caught 17 birds all morning, so there was some time between checking the nets to have a play with my new macro lens, which is also good a good 'portrait' lens for birds in the hand. So, I mentioned burning the candle at both ends... whizz forward 12 hours and we were back at Druridge, just as it got dark to try to catch storm petrels on the beach. We were joined by Laura Shearer and Jenna Berry. 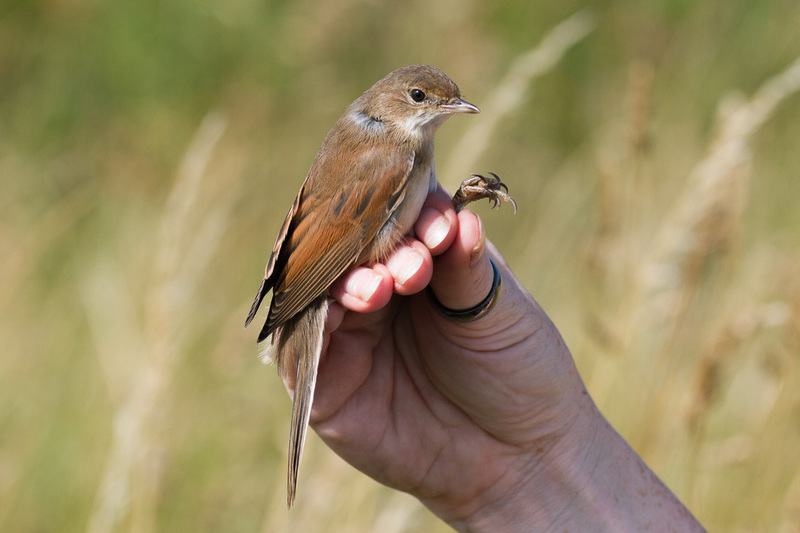 This is the fifth summer we've tried to ring storm petrels at Druridge. Touch-wood, we've never failed to catch birds and last night was no exception. 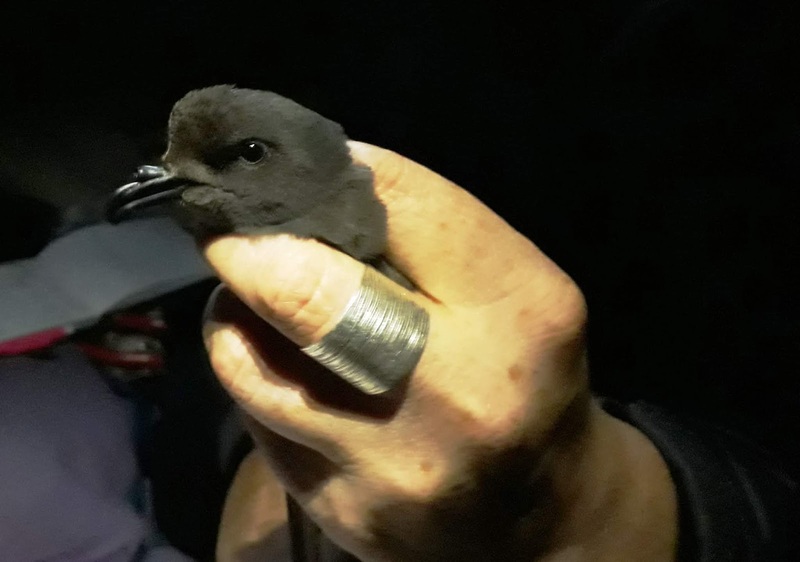 We've only ever caught one bird before midnight and that was last summer, so it was a surprise when Janet checked the nets at 11.40 and found our first storm petrel of the evening. 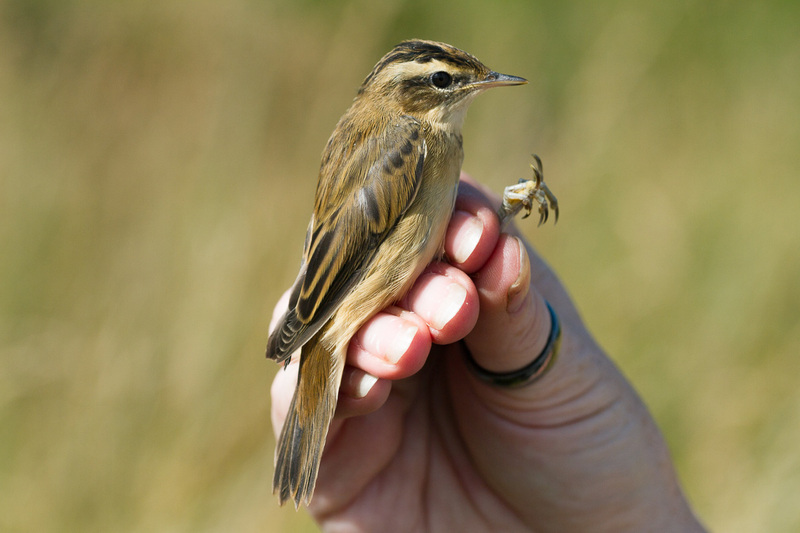 We were even more surprised by the next bird, which we caught at 12.20... This one was bigger and it had a wing bar on the upper wing - a Leach's petrel. 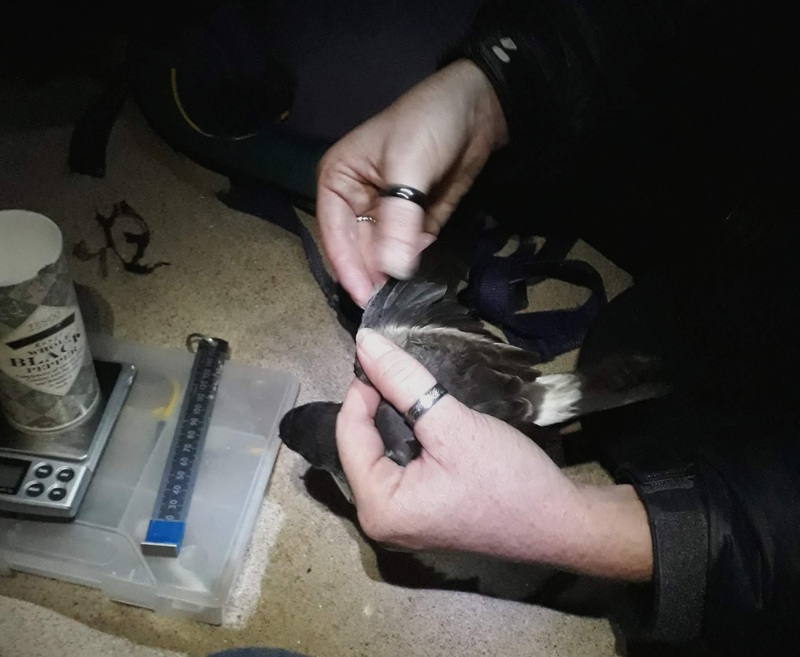 We controlled a Leach's petrel in 2016 (read the story here) that had been originally ringed on the Isle of May and been caught again on the Farne Islands before we caught it. Last night's bird was un-ringed. We went on to catch another two storm petrels at 12.40 and 01.20. As we were about to pack up, just before 2am we heard singing from above our heads - was sleep deprivation kicking in, had we heard too much petrel noise - no, it was a Leach's petrel flying above us singing back to the tape. It didn't go into the net, but it begs the question - was it the same bird we'd caught earlier or a different bird, and if so, how many are out there?